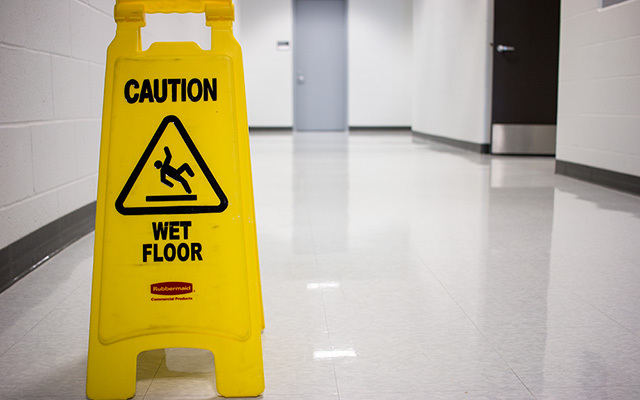 Custodial Services at ICC is in charge of daily cleaning, detailing, all floor work and any emergency requests. The Custodial Staff has a strong commitment to sustainability and helping in any way they can. Whether it be turning off lights to reduce energy usage, helping with the recycling program to reduce waste, or by using chemical-free Orbio cleaning products. The staff is also consistently maintaining automatic hand sanitizers in every building to mitigate the spread of bacteria, viruses, and seasonal flu. The efforts of our custodial staff contribute greatly to our campus community’s health and well-being. We consist of approximately 43 dedicated employees that are spread out to all of ICC’s campuses. We work around the clock to maintain common areas, we set-up events, and restock supplies. Our efforts keep the classrooms, libraries, dorms, bathrooms, and offices clean, safe, and sanitary. The majority of our custodians are organized into teams. Each team has a number of rooms and areas they are responsible for, so it’s likely that you will have the same custodians service your area time after time. View our Custodial Teams by Area for a list of areas we service and the team members. Empty Trash, spot vacuum daily, full vacuum once per week, extract carpet stains as needed, spot mop, full mop twice per week, clear visible dust, fully clean and disinfect all restroom surfaces daily, fill paper products as needed, clear whiteboards and chalkboards daily, spot clean desks daily, spot clean windows daily, and thoroughly clean windows once every two weeks. Empty trash, spot vacuum, spot mop, dust mop as needed, light dusting, and spot clean windows. Additional cleaning and preparations for special events, set-up and tear down of functions, campus signage for events, and light office furniture moves.